Outdoor advertising that reaches Chicagoans where they eat, drink, shop and live. We are Chicago's neighborhood billboard company. From Bucktown to Bridgeport, Lincoln Park to Lawndale, Chicago is a city of neighborhoods. More than just a physical place, Chicago's neighborhoods serve as hubs of the lives of their inhabitants; they are centers of culture, cuisine, and architecture, each with their own distinct personality. Our customers understand that if they want to reach their customers, they must meet them on the streets of Chicago's neighborhoods. It's on these streets that we own and operate the best advertising signs in Chicago. Out-of-home media formats across 40 Chicago neighborhoods. Inquire about billboard opportunities for your property. Our success depends on our customers' success. Hear from them. Reach out to the View Chicago team to learn more. Our latest musings on Chicago billboard advertising. Our favorite billboards & advertising signs around Chicago. 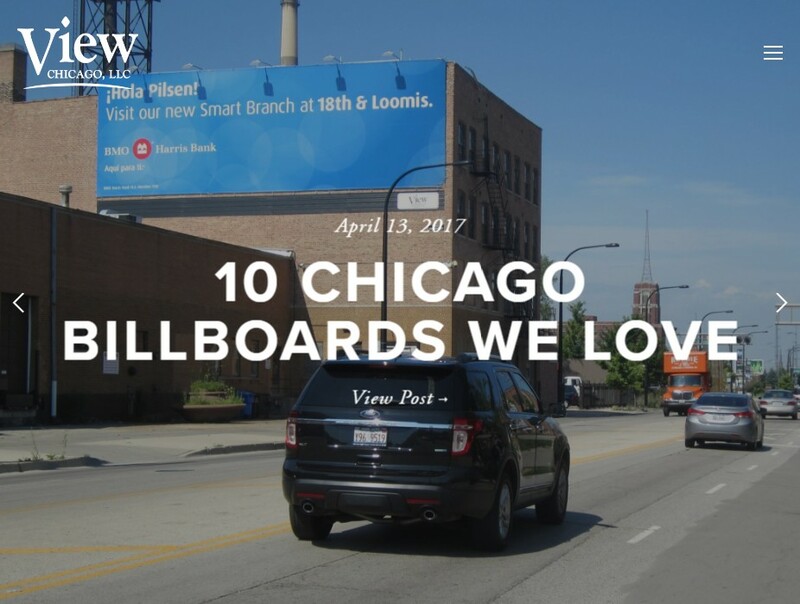 Interested in Chicago Billboard & Neighborhood News?